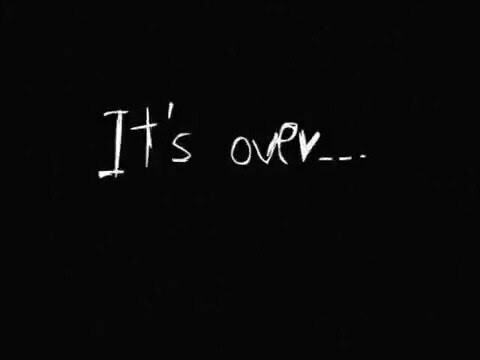 It’s over. We both know it. That’s not to say that it hasn’t been fun. We got together in the summer of 2012. You were a short story, a few thousand glorious words, but I wanted you to be more. Every fiction writer thinks they need to be in a long-term relationship. I hated when people wanted to call you manuscript. You were better than that. You were always a novel. At least in my mind. You started as a single-worded file name, Harvest. I already had high hopes for you. I must have just watched Days of Heaven and listened to Ennio Morricone’s soundtrack for the thousandth time. I finished your first draft a few days after Thanksgiving that year. You knew better. When it was late at night and you beamed at me from the MacBook, you reminded me that we struggled. I know that relationships are tough, but we can admit now that this was ridiculous. We broke up for weeks and months, and then we got back together. It was a cycle. During the semester, I didn’t call or text or even pull you up in Finder, but as soon as school was out, there I was, with coffee and compliments. I copied and pasted you into a new document, and re-named you (you changed me, too, it’s OK). I began to get superstitious about naming you novel.doc, so I named you variations of “new:” newnovel.doc, NEWnovel.doc, new_literary_despair.doc. I gave you new fonts. I printed you out (sorry about shrinking your margins) and brought you to the library. I used a pencil to edit you, and then when everyone else was asleep, I typed the updates. I believed in us. I wanted the world to know about our love, so I queried agents. They were enthusiastic at first, but you sat in their mailboxes for month. They said nice things about you, about us, but it was always no. I could tell from the cadence of their sentences and how they broke their response into two paragraphs, starting with the praise but ending with the reality. You got frustrated. You told me that only an idiot makes an Excel document to collect agent rejections. You said that I was trying to turn you into a thriller when you were really a literary novel. You wanted character; I knew agents wanted plot. We fought. The last agent to say no wanted to change your soul, and I refused. I closed the email, brought you onto the desktop one last time, but didn’t tell you the truth. So here I am. I’m sorry. I won’t forget or delete you. But I’ve got to move on. P.S. Stop telling everyone that I listen to “A House is Not a Home” on repeat. P.P.S. I’m in love with essays now.